Aren't you tired of posting your book link on Facebook groups overrun by thousands of other authors, all blindly posting their own links on top of yours, without even looking at yours? Within minutes, so many other books have been posted after yours that yours gets pushed down, out of sight, and nobody ever even noticed your book. Posting links in these spammy, overcrowded Facebook groups might be a great way to waste a few hours on a boring Sunday afternoon, but it's not a good way to get your book noticed. What is Bookmaester? How does it work? 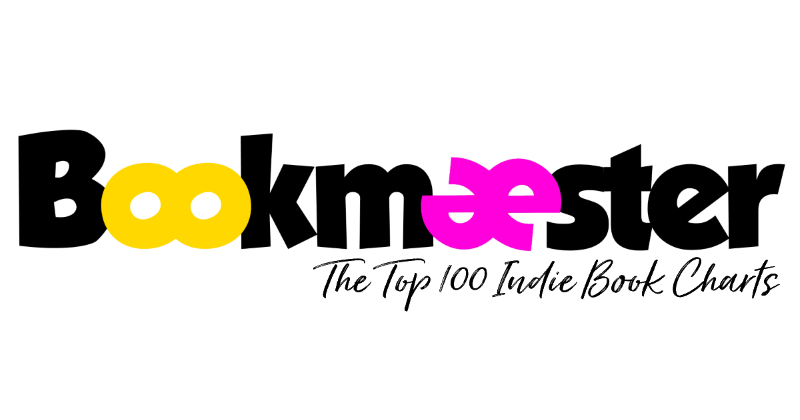 Bookmaester is the Top 100 list for small press and self-published books. The more LIKES your book gets, the higher it climbs on the Top 100 Charts. How do I get my book on the Top 100 list? Click on Add Your Book. Then pick a username and password. That way you can log back in later and edit your book description or cover, or add more books. Under URL, enter the link for your book. You can either enter the link for your author homepage (if you have one), your Facebook page, or your Amazon book link, Goodreads, or whatever. Personally, I would recommend linking directly to the Amazon page of your book, since that's where you want readers to go. The less distraction and the less hurdles, the better. Send them straight to the page where they can buy your book, with as few clicks as possible. Don't forget to enter your book's title and a short description. Don't write an opera. Just a short, catchy teaser works best. Select a category for your book. Pretty self-explanatory. You'll figure it out. Finally, click on Add Book. Then we need to approve your book. You know, give it the once over, make sure you didn't spell your own name wrong or your book description is just the word boobies 30 times. We can't have none of that around here. This is serious business. Once we approved your book, it will immediately start to show up on the Top 100 list. On the left side, where the new additions are highlighted. You'll notice there is a screenshot of your book page. Ohh! So shiny! Why is my screenshot just a black (or white) square? Oops! Looks like our system couldn't automatically snap a photo of your page. Mea culpa. That happens sometimes, if you use all sorts of high-tech special effects on your homepage. That's why it's better if you link to a page that's nice and simple... like your Amazon book page. That photographs pretty well, and our automated system usually has no problem making a nice little screenshot. In case you absolutely insist on using a link to your homepage (Geez, you're stubborn!) you can send me an email, and I'll manually add a screenshot of your homepage. Why doesn't my book listing have a front cover, like the other books on the Top 100 list? Once your book is approved, you can log into the Control Panel and manually add a book cover by clicking on Upload Book Cover. Your cover image can't be larger than 150 pixels wide, and 240 pixels wide. Can I add more than one book to the list? Sure you can. This isn't communist Russia. You can add as many books as you like. There's an Add Another Book link in your Control Panel. I've added my book, it was approved, now it's on the Top 100 list, and I added a book cover. Now what? Good job! You're good to go! Now comes the best part: in your Control Panel you'll find the HTML code for Your Book's LIKE Button. (Don't worry, no programming skills required.) Pick a button that tickles your fancy and copy the little HTML code from underneath that button. Now go to your homepage and paste the HTML code on your page. Done! Baddabing Baddaboom! They're LIKE buttons. After you pasted the HTML code on your homepage, the LIKE button will appear on your page. Then all you have to do is ask your fans to click that LIKE button. Each click is one like. Simple. And the more likes your book gets, the higher it will climb on the top 100 list. The more fans you have, and more they like your books, the better. By the way, the first button (round, yellow) is a static button that blends in nicely with your other social media buttons. The second button (little rectangle) is a responsive button. That means the button will show your actual ranking in the charts. So if your book is #17 on the Bookmaester Top 100 Indie Book Charts, the button on your homepage will actually say #17 on it. Pretty cool, huh? This button is my favorite! I'm using it on my own book page. The third button (larger purple and yellow box) is also responsive and shows your current ranking on the charts, as well as how many likes you have received so far, and how many readers have clicked on your book and viewed your book's Amazon page. Can I click on my own LIKE button and like my own book? Yes, you can. The Top 100 list counts each click, but the ranking system is based on unique clicks per day. So your own click will only count once per day towards the charts. Can I ask people on Facebook or Twitter to like my book on Bookmaester? Just copy the link and then post it on Facebook, Twitter, Goodreads, Pinterest, Tumblr, LinkedIn, or where ever else you like. Every time one of your friends or followers clicks the link, it will count as a LIKE, and your book will climb to the top of the Charts. By the way, on Facebook those big text posts with colorful backgrounds work best. On Twitter, Pinterest, Tumlbr etc. adding a little image to your post, like the Bookmaester logo or your book cover, usually gets the most clicks. You might also want to add the hashtags #bookmaester and #top100indiebooks to your posts. I'm not self-published. I have a legit publisher. I'm the king of the world! But they don't spend a lot of money on promoting my book. Can I add my book to the Top 100? Yes. If your name isn't Stephen King or Sylvia Day, you've come to the right place. Because you have a great smile, a charming personality, and you deserve only the best. And I'm a self-published author myself, with a background in marketing. So I know what works and what doesn't. One afternoon, after spending hours posting my book link on Facebook groups with zero results, and buying a bunch of overpriced ad spots that didn't do squat, I day-dreamed about the kind of place I would like to exist. A place where I and anyone else, even the poorest church mouse author, could promote our books on a shoe-string budget (or better yet, for FREE!) and actually get results. Since that place didn't exist yet, I invented it. (You're welcome.) And that's how Bookmaester was born. Everything about it is about promoting your book to a huge audience for free, and actually being SEEN. If you can't afford spending hundreds of dollars on Bookbub ads or Kirkus reviews, Bookmaester is your new best friend. This is where your book will be seen by thousands of eager readers and get free, honest, unbiased book reviews. Did you just say free, honest, unbiased book reviews? I want those! I NEED those! But can you guarantee I'll get lots of reviews? No, I can't. I can't even guarantee you'll wake up tomorrow. And people these days have the attention span of fruit flies. "But... but what if I'm #1 and not a single freakin' fruit fly downloads a single one of my damn books?" you wonder, while chewing on your lip and staring at the ceiling. I hear ya. So unleash your flying monkeys and convince, nay, beg your readers to click your Bookmaester LIKE button. Plaster it all over Facebook. Spew it forth onto the unsuspecting Innocents of Twitter. Flood the soccer moms of LinkedIn land, and wallpaper Pinterest with that sweet sweet Bookmaester LIKE link until your followers cry uncle. You can even stick the like link at the end of your Kindle books, for God's sake! Get those unsuspecting eyeballs when they least expect it! Tell them your book will rise ever closer to the top of the Bookmaester Top 100 with each effortless click. And you will gain fame and fortune, if not IMMORTALITYYY! (And is that not what we can expect our fans to want for us, their favorite authors?) And if they ask what's in it for them, tell them that no harm will come to them and that they will be richly rewarded in the afterlife. Everybody wins. Now go start winning, you little winner you.